Tag Archive | "drug overdoses"
Johnson & Johnson as well as other makers of a fever medication announced on Wednesday that they will stop producing infant drops for medicines with acetaminophen to avoid confusion that may unfortunately lead to drug overdoses. The association that handles over-the-counter or OTC drug makers said that all of their members will discontinue liquid drops beginning later this year. After all the drugs have been successfully phased out, drug companies will only market one formula for children age 12 and below. At present, J&J and many other drug companies sell infant formulations that have half the amount of acetaminophen compared to that found in children’s (1-12 years old) formula. Acetaminophen is a drug component usually found in Tylenol and Nyquil; it effectively reduces body temperature and pain. Although it is safe to use in general, acetaminophen overdose is one of the leading causes of liver failure in American and it sends as much as 50,000 people to the emergency room every year. The announcement that was released late Wednesday is in line with the Food and Drug Administration’s meeting with them scheduled on Monday. The meeting was intended for the discussion of the need for additional safety instructions in drugs with acetaminophen. Drug makers’ move to eliminate infant formula with acetaminophen content marks the second instance that the drug industry pulled off its products before the FDA can act on it. 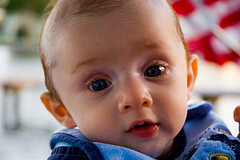 In 2007, the same group of drug makers announced the discontinuation of infant decongestant medicines ahead of an FDA meeting that was supposed to talk about infant deaths related to the product.